To the left is Caffè Fresco's current offering of American coffees. 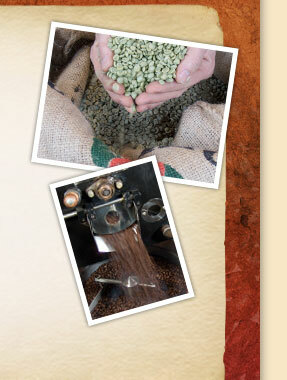 American coffees are grown in both North America and South America. The only coffee origin in the United States is Hawaii. Other North American origins are Mexico, Guatemala, El Salvador, Honduras, Nicaragua, Costa Rica, Panama, Jamaica and Puerto Rico. By far, South America is responsible for the world's largest coffee production, specifically due to Colombia and Brazil. Other coffee origins in South America are Bolivia, Venezuela, Ecuador and Peru. The classic cup of an American coffee is bright and lively with a clean finish.